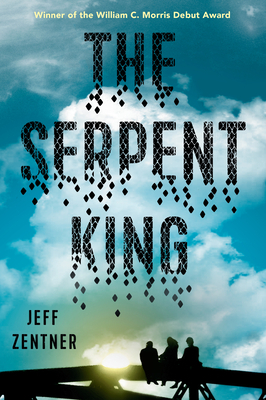 Named to ten BEST OF THE YEAR lists and selected as a William C. Morris Award Winner, The Serpent King is the critically acclaimed, much-beloved story of three teens who find themselves--and each other--while on the cusp of graduating from high school with hopes of leaving their small-town behind. This gorgeous paperback edition with a full-color step-back cover will have teens everywhere itching to discover the book that everyone is talking about. Perfect for fans of John Green's Turtles All the Way Down. Dill isn't the most popular kid at his rural Tennessee high school. After his father fell from grace in a public scandal that reverberated throughout their small town, Dill became a target. Fortunately, his two fellow misfits and best friends, Travis and Lydia, have his back. But as they begin their senior year, Dill feels the coils of his future tightening around him. His only escapes are music and his secret feelings for Lydia--neither of which he is brave enough to share. Graduation feels more like an ending to Dill than a beginning. But even before then, he must cope with another ending--one that will rock his life to the core.